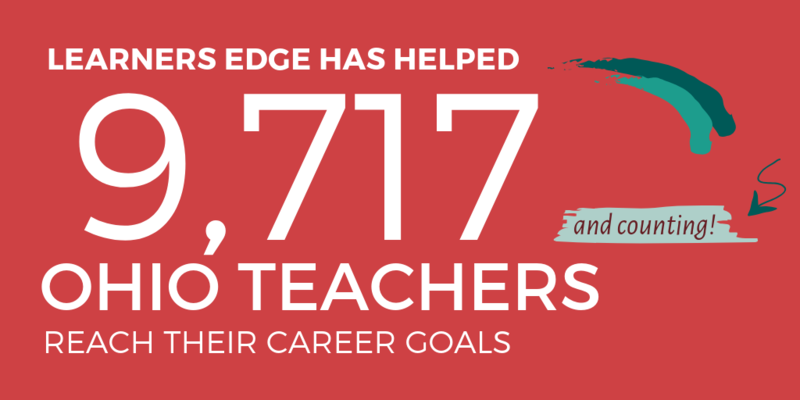 We're here to help Ohio teachers. 180 continuing education contact hours (18 CEUs). Pursuant to Ohio law, educators requesting Early Childhood, Middle Childhood or Intervention Specialist licensure must have successfully completed at least 12 semester hours of coursework in the teaching of reading that includes at least one separate course of at least three semester hours in the teaching of phonics in the context of reading, writing and spelling. The coursework must be completed at an accredited college or university. Many educators who completed their educator preparation program out of state will not have met this requirement, so a license may be issued to the educator with the limitation placed upon it to complete the reading coursework requirement prior to expiration. Educators must have completed at least six of the required 12 semester hours of coursework in the teaching of reading to be issued a standard teaching license in Ohio. For more information visit the Ohio Department of Education Website. You'll find our graduate level courses to be relevant, engaging and highly applicable to your classroom or school setting…the perfect option to meet your salary advancement needs. Simply select the course(s), session, and our Ohio academic partner, Lourdes University. Make sure to explore our pricing discounts. 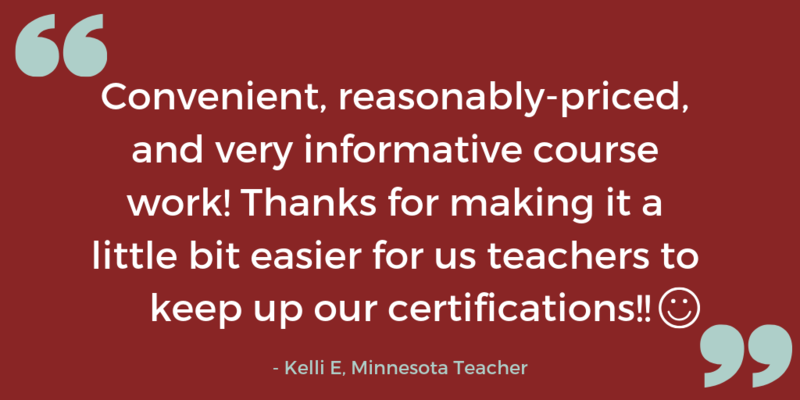 If you need assistance with course mapping or timelines, we’re happy to help. Our Advisory team is here to help you succeed! Our Ohio academic partner, Lourdes University, offers graduate credit in association with Learners Edge online courses. When renewing a Five-Year Professional or Associate License, choose courses related to classroom teaching and/or the area of licensure. If pursuing licensure for: Early Childhood, Middle Childhood or Intervention Specialist you may complete one or more of the following Learners Edge courses to gain the needed semester hours. Make sure you register with our Ohio academic partner, Lourdes University. 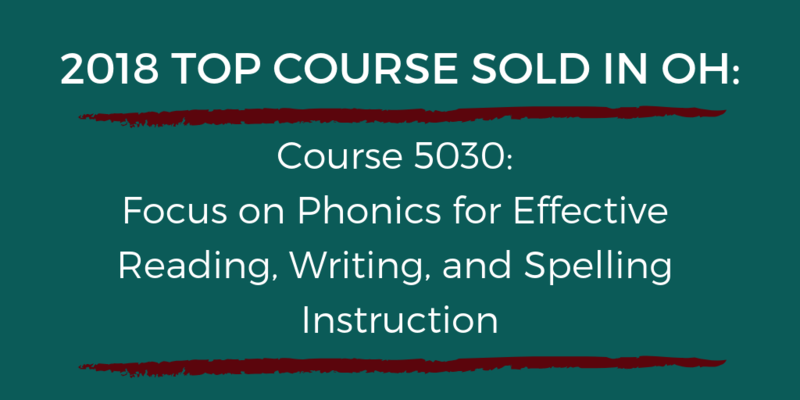 Course Description: Go back to the basics with a fresh focus on phonics. Effective phonics instruction requires specific teaching and learning targets bolstered by understanding reading development and the instructional models used historically. Through a review of reading fundamentals and direct phonics instruction, teachers will learn proven strategies of practice and repetition to support readers struggling with letter and word decoding automaticity. By investigating formative assessments for phonemic awareness and phonics, teachers will activate reading, writing, and spelling tools and teaching strategies with an eye on student engagement for better overall reading comprehension and achievement. Course Description: Tap into a wealth of techniques to help your primary students better comprehend what they read. Real life examples and dozens of scenarios/examples demonstrate effective ways to: select the perfect books, model think alouds, assist students in making important connections, and empower your students to having meaningful conversation about the texts they are reading. Help your students become thoughtful and independent readers. Course Description: Close reading is a vital literacy skill for meeting Common Core standards that require students to answer text-dependent questions and understand complex texts. This course offers an opportunity to study and practice a powerful literacy framework using six Notice and Note Signposts for fiction. Explore the signposts (text features) to help you forge a deeper connection between your students and the fiction they read. Join the journey that will lead your students to increased engagement, reading comprehension, and productive independent reading through a transformational practice of close reading of fiction. Course Description: Empower your students to be independent learners as they navigate deliberate steps in literacy instruction at their own pace. The Daily Five will provide strong examples of structure that you can incorporate immediately as you build upon your students’ literacy skills. This course may challenge the way you view literacy instruction, and will invigorate your overall approach in the classroom. This course is not affiliated with or sponsored by Educational Design LLC d/b/a The 2 Sisters. Course Description: Tired of your students' eyes just glossing over the pages as they read? Time make the teaching of reading a practical, achievable goal in every subject. This course contains dozens of proven strategies that help students develop their vocabularies, comprehend informational and narrative texts, and engage in meaningful discussions of what they read. In addition to reading strategies, this course also explores critical elements of reading, strategic processing, and the creation of a classroom environment conducive to reading. Above is a summary of how Learners Edge may help your continuing education and Ohio license renewal needs. This summary should in no way release individuals from their responsibility of ensuring that the course(s) they take meets their professional needs. We hope it provides assistance in understanding how Learners Edge might help you in the accumulation of clock hours or graduate credit for salary advancement and the Ohio license renewal process.